"Nice place to live the quiet life." I lived here a few years back only for four months or so. Very nice place, mostly flat and easy to walk around ,so compared to Neutral Bay, where I have also lived it is super quiet and easy to get around. And that includes driving. The downside is it is not all that visually exciting, yes there are some very nice houses, but nothing that blows you away like many other suburbs in Sydney. In a lot of ways it reminds me of some nice quiet suburbs in Brisbane. There is a definite lack of cafes and local stores, but it basically has what you need, and the stores and eateries it has are perfectly fine. I found Hunters Hill people to be mostly pleasant, well dressed, and reasonably friendly. There are a lot of thirty and forty something professionals. There is not a lot to do at night, but then again you would not move here for that. This suburb suits people who want a more quiet life, and a family / suburb feel. It is close enough to the city to be handy, and you can usually easily park your car on the street if you need to. Lots of nice tree lined streets. Can be a tad boring but makes up for it by being peaceful. ChrisA5 I lived here a few years back only for four months or so. Very nice place, mostly flat and easy to walk around ,so compared to Neutral Bay, where I have also lived it is super quiet and easy to get around. And that includes driving. The downside is it is not all that visually exciting, yes there are some very nice houses, but nothing that blows you away. In a lot of ways it reminds me of some nice quiet suburbs in Brisbane. There is a definite lack of cafes and local stores, but it basically has what you need, and the stores and eateries it has are perfectly fine. I found Hunters Hill people to be mostly pleasant, well dressed, and reasonably friendly. There are a lot of thirty and forty something professionals. There is not a lot to do at night, but then again you would not move here for that. This suburb suits people who want a more quiet life, and a family / suburb feel. It is close enough to the city to be handy, and you can usually easily park your car on the street if you need to. Lots of nice tree lined streets. We have lived in Hunters Hill for 10 years, and like most people, don't plan on leaving. Someone who once ran a business in the area told me their time in Hunters Hill was their happiest because the customers were so friendly. "No-one is trying to impress anyone, they are all very happy with who they are and where they are in life"
I think this is the key to the great community spirit in Hunters Hill. It is not a trendy suburb. People don't move to Hunters Hill unless they really want to live in a quiet friendly family suburb. So it is very unpretentious. Good schools, good food, very clean & safe, and so central to everywhere in Sydney. But don't tell too many people, they will all want to live here! Lovely friendly atmosphere..Beautiful,tree lined streets,gorgeous sandstone houses and properties.The gardens & parks are magnificent.A real pleasure to stroll along the quiet streets.Hard to believe that we are so close to the hustle and bustle of the CBD. 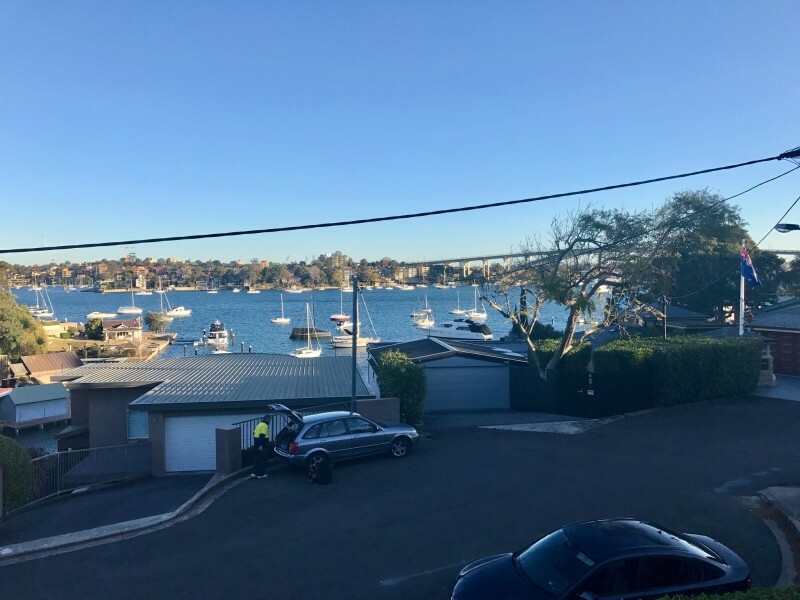 "Overall a nice place to live just don't live anywhere near the flight path"
"A country town in the middle of the harbour"
We moved to Hunters Hill after 9 years in Stanmore - we loved Stanmore but with a growing family we needed the space. Within 12 months we new more people in the suburb than we had in the 9 years in Stanmore. The sense of community is strong - people quickly new our kids and events like shool presentation day, Easter, Halloween and Christmas are enthusiastically celebrated - the mayor came to our street Christmas Party. It was such a relief to live in a street where most people have kids - we were no longer the odd ones out. We had to really adjust to letting our kids have the freedom of the suburb. Hunters Hill doesn't have a strong cafe culture, the newsagent closes after lunch and if you live on the penisular, there is no general store - but the trade off is space, freedom and peace of mind - the sort of life style usually only found in a country town. "Beautiful homes, but short on community"
Hunters Hill has some of the most beautiful property in Sydney. Big homes with stunning outlooks along the peninsula. Transport to the city is great via the ferry, and there are some beautiful waterfront parks accessible to the public. Despite this, I didn't enjoy the 2 years I lived there as much as other suburbs. The residents tend to hide behind high walls, and there is little community engagement or feeling. "Peaceful & quiet yet so close to everything"
"Best street in the non pensular portion of Hunters Hill well elevated and walk to everything"
"Quiet, with a High School"
Is there really a lot of traffic noise and aircraft noise in Hunters Hill? Please rate Hunters Hill /Lane Cove for quietness, capital growth , suitability for older ppl? Is Boronia public school a good school? Aircraft noise in Hunters Hill? Why has Hunters hill come 248th best suburb ? Average house price for a 4 or 5 bedroom? Can anyone recommend a caterer for my Christmas party in the Hunters Hill area? Where is the closest little athletics club to Hunters Hill? Can anyone recommend a carpenter in the Hunters Hill area? 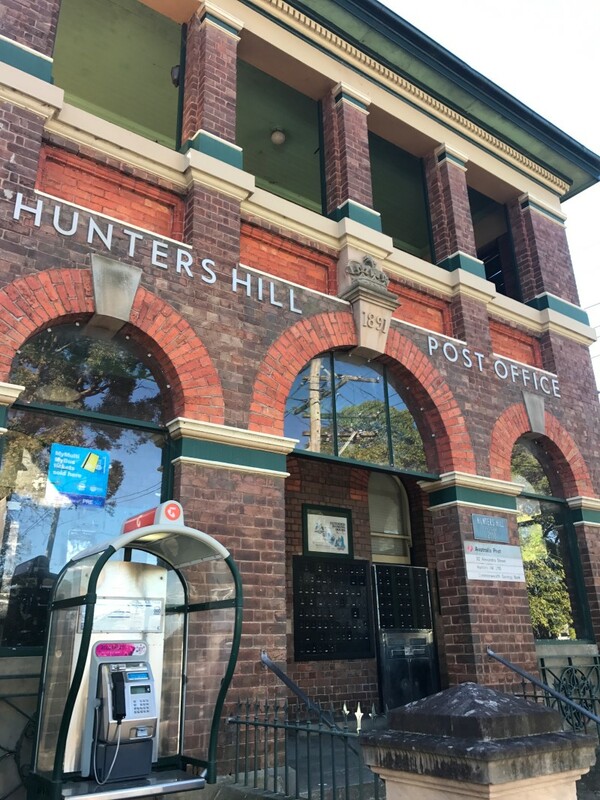 Where is the closest live theatre venue to Hunters Hill?